This service has succeeded in resolving issues, including the problems of those who complain that a medical institution equipped with a CT scanner is located far from their home and that they have no time to go to such an institution. This vehicle equipped with an advanced CT scanner allows for CT scans anytime, anywhere. 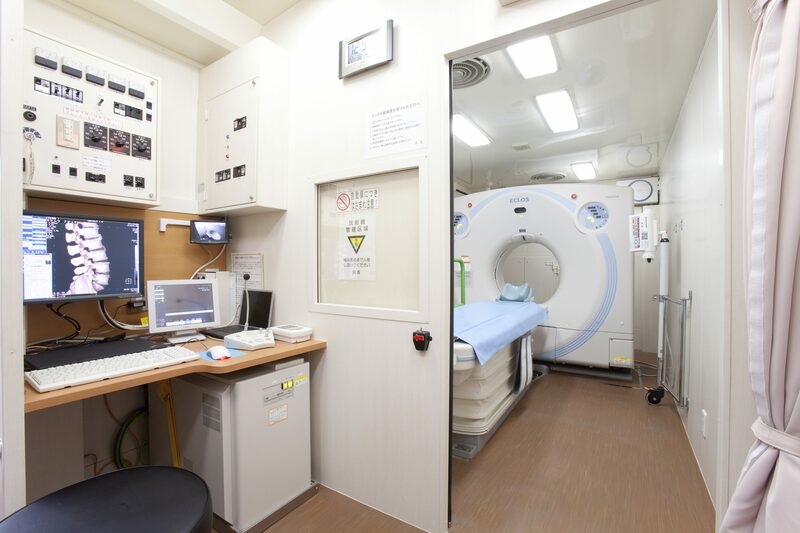 You do not need to pay enormous initial costs to purchase an expensive CT scanner and establish an examination room that requires special construction for load-bearing, shielding, and other purposes as well as a control booth. You also do not need to pay various running costs, including maintenance contract costs necessary to respond to troubles and labor costs for experienced technicians necessary to use rapidly advancing CT equipment. This vehicle can be used at a good price as an alternative device while your CT scanner is being replaced. We will support the necessary procedures for conducting a CT exam. The latest model 16-row multi-slice CT scanner is installed and an examination room and a control booth are built in this truck. 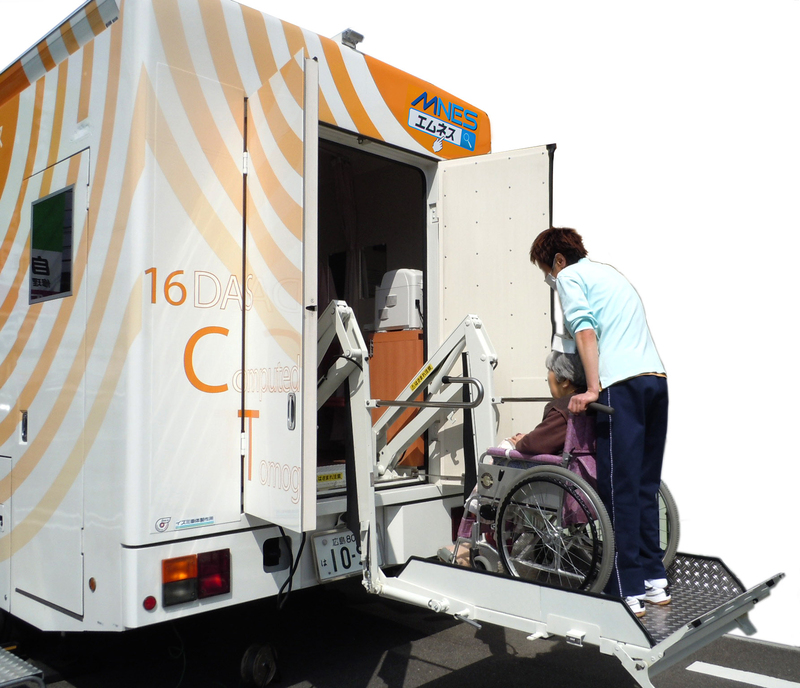 Equipped with a hydraulic elevator and designed in a barrier-free manner, this vehicle provides the opportunity for patients in a wheelchair or on a stretcher to receive a CT scan with ease.